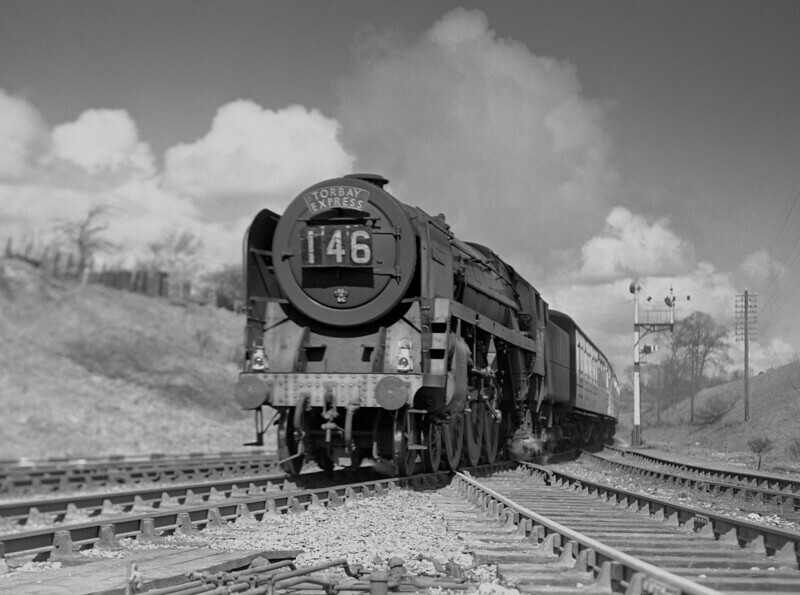 7022 Tornado passing Southcote Junction on 4 April 1953 at the head of the down Torbay Express. The dramatic effect is undoubtedly produced by the use of a yellow filter for this Adams Reflex quarter plate shot. Signalman Sweetzer was sufficiently impressed to reproduce this picture in oils!